Americans owe well over one trillion dollars in student loans, with about one million borrowers entering student loan default each year. Defaulting on your student loans is a serious matter, and your school, the lender/loan guarantor and/or the U.S. government can all take action against you to recover the money. 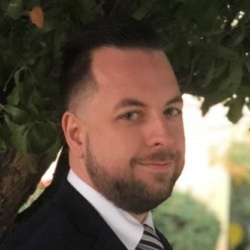 Three primary tools for fighting illegal student loan efforts include the Fair Debt Collection Practices Act (FDCPA), the Telephone Consumer Protection Act (TCPA) and the Fair Credit Reporting Act (FCRA). Our debt help lawyers may be able to stop the phone calls and letters even if you do owe the debt, and help you recover monetary damages for violations of your rights under these laws. What is student loan default? Understanding default, and its consequences, are essential to avoiding default. Also, important is knowing what to do if your loan is in default, or you are about to be, even if you think the default is an error. Still, you have rights and options concerning student loans in default, both in terms of fighting illegal student loan collection efforts as well as through bankruptcy. The former is easier than the latter, but both can be effective tools. Being in default means you didn’t make your payments on your student loan as scheduled in your promissory note–the legal document you signed at the time you got your loan. Your loan becomes delinquent the first day after you miss a payment and the delinquency continues until all payments are made and your loan becomes current. What can happen if I get into student loan default? Getting into default can have severe consequences. The entire unpaid balance of your loan and any interest can become immediately due, as well as late fees, additional interest, court costs, collection fees, attorney’s fees, and any other costs associated with the collection process. You can lose eligibility for deferment, forbearance, repayment plans and even additional federal student aid. Your loan account can also be assigned to a collection agency and will be reported as delinquent to credit bureaus. Additionally, the Internal Revenue Service can take your federal and state tax refund to collect any of your defaulted student loan debt! Your wages can also be garnished employer (at the request of the federal government). And unlike most other debts, federal student loans, or loans that are issued through the government, do not have a statute of limitations. What should I do if I am in default? If you are in default you have options. You may be able to qualify for a deferment or forbearance, You may also be able to find leverage in violations of your federal consumer protection rights. For example, student loan collection letters and payment plans can often violate the FDCPA. Similarly, excessive collection calls for student loans can violate the TCPA. Finally, the FCRA can assist if your loan is being incorrectly reported or someone has pulled your credit report without permission. Find out of any of this is happening to your student loan. Can I discharge student loans in default through bankruptcy? Bankruptcy is the final resort to financial well-being. But it is not always easy to discharge student loans in bankruptcy, because of certain exemptions in the bankruptcy code which treat student loans differently. The exemption is known as the Bankruptcy Abuse Prevention and Consumer Protection Act, and it applies to all federal and private student loans. They cannot maintain, based on current income and expenses, a minimal standard of living for the debtor and dependents if forced to repay the student loans. Additional circumstances exist indicating that this state of affairs is likely to persist for a significant portion of the repayment period of the student loans. They have made good-faith efforts to repay the loans. Another issue to consider are whether the loans are federally backed or private student loans. Although both are treated the same under the bankruptcy code and are subject to the same undue hardship standard, federal loans have income-driven repayment options which adjust payments to a small percentage of the borrower’s income, even as little as $5 or even less. When this happens, it is hard, if not impossible, to claim undue hardship. Plus, you have to go through this income/hardship test each year. Still, recent studies show that over one-third of borrowers who tried to discharge their student loans in bankruptcy actually got some or all discharged. Common factors contributing to discharge included unemployment, medical hardship and lower annual incomes. How can I stop my student loan debt collector? Debt help lawyers can stop the phone calls and letters to you and third parties, even if you do owe the debt. You may be entitled a cash award and free attorney representation. Below we include contact information for many of the well-known student loan debt collectors the US Department of Education (the provider of Federal Student Aid) currently contracts to collect monies owed for student loans. If you have been contacted by any of these entities, or any others about your student loan, please contact us for a free attorney review of your situation before you agree to pay anyone, anything. 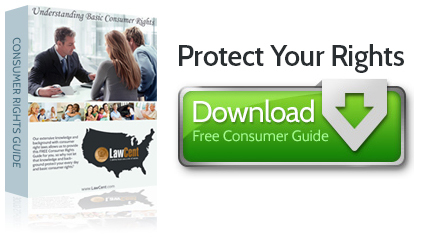 Download the Consumer Rights Guide FREE!